Which Monochrome Ribbon is right for me? What are your monochrome printing needs? You need to print cards and you know that you will be printing in one color. If you are unsure which ribbon you should use, ask yourself these questions. Does the card only require text or artwork? Do I need to print a barcode? Will the cardholder be signing the card? While there are a number of monochrome ribbons to choose from, they are not interchangeable and perform different printing tasks. In this blog we will cover the differentiators and common uses of monochrome ribbons. Monochrome printing utilizes a single color to add text, serial numbers, bold graphics and barcodes to the front and back of cards. Monochrome ribbons are cost effective and ideal for printing applications that do not require full color photo images. Standard monochrome ribbons are made up of a concentrated formulation of resin. While black monochrome ribbons are the most commonly used, they are also available in blue, white, red, green, yellow, gold, and silver. You would use a black resin ribbon to print not only text and artwork, but readable barcodes. Color resin ribbons also print vibrant text and artwork, but cannot print readable barcodes. Most barcode readers require a barcode to be printed in black resin on a solid white background. 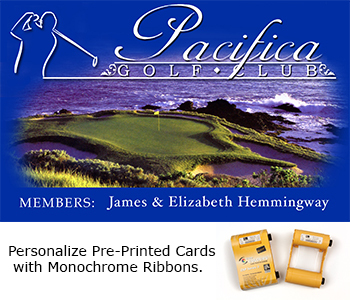 Monochrome ribbons are primarily used to personalize the front and back of pre-printed cards. Pre-printed cards feature a full-color branded design. You can use a monochrome ribbon to add a cardholder’s information, serial numbers or bold graphics to the card. Monochrome resin ribbons are further used to customize colored PVC cards. 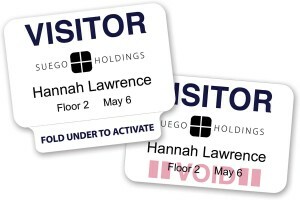 Colored PVC cards are frequently used to separate groups of cardholders or to distinguish employees from visitors. What is the difference between KdO and KrO monochrome ribbons? While both of these ribbons are black and contain an overlay, they are used for different printing applications. KdO ribbons are made up of black dye-sublimation (Kd) panel and a thin protective overlay (O) panel. Black dye-sublimation provides full grayscale imaging and is used in printing text, artwork or in applications that require a black and white photo. The protective overlay increases durability and fade resistance, extending the life of the card. You would use a KdO ribbon to print membership and ID cards that do not require a barcode. KrO ribbons are preferred when printing readable barcodes and crisp text. KrO monochrome ribbons consist of a black resin (Kr) panel and a thin protective overlay (O) panel that protects the card from wear and fading. They are frequently used to print gift cards, loyalty cards and membership cards. When would I use a Signature Panel Ribbon? 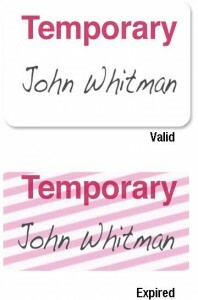 Signature panel ribbons are used in the production of gift cards, bank cards and credit cards. 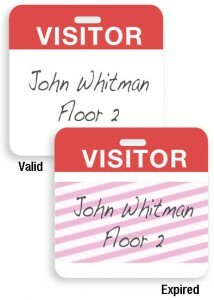 Signature panel ribbons are expressly designed for printing applications in which a cardholder’s signature is required for security and authentication purposes. They print a white, rectangular panel onto the surface of a card. The cardholder can manually write their name in ink within this panel. What is Scratch-off Ribbon? How can I use it? 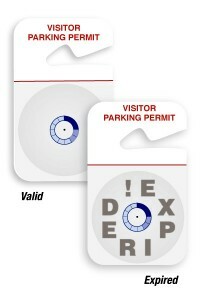 A scratch off ribbon is a unique ribbon that produces an effect that covers an area of confidential information on a card and can be scratched off. Unroll this ribbon and your will find a continuous wave like pattern that is grey in color with black lines. A scratch off ribbon can be applied over PVC cards, black monochrome resin ribbons, Holographic overlays, or the O-panel of dye sublimation ribbons. 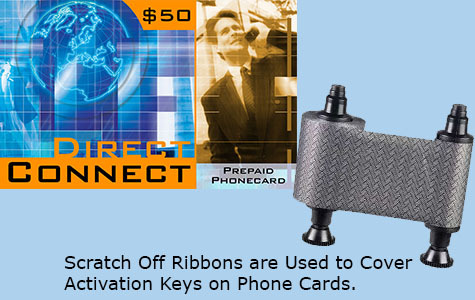 These specialty ribbons are used to cover gift card values, activation keys or confidential codes on cards. 3iD can help you select the monochrome ribbon that best suits your needs. Call Dana or Karen, our in-house printer ribbon specialists at 1-800-316-7304 x 3, or simply send us an email with any questions to info@3idcards.com. We would be happy to assist you! To ensure the best performance from your ID card printer, we recommend only using official brand name monochrome ribbons. Visit our online store www.3idcards.com to view our wide selection of monochrome ribbons from Zebra, Fargo, Magicard, Datacard, Evolis and Nisca.